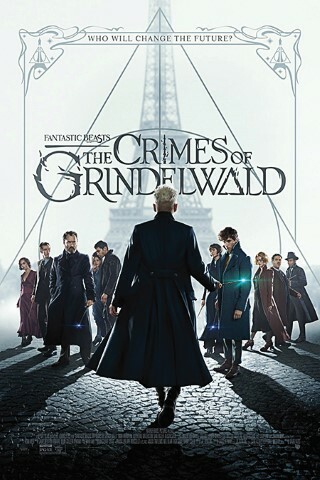 If you are a fan of J.K. Rowling, then you will enjoy the fantasy film, “Fantastic Beasts: The Crimes of Grindelwald”. This movie, in theaters now, is the second installment in Rowling’s latest series. It is about a younger Albus Dumbedore (Jude Law) trying to stop Gellert Grindelwald's (Johnny Depp) plans of raising pure-blood wizards to rule over all non-magical beings. He does so by recruiting student, Newt Scamander (Eddie Redmayne), who agrees to help but is not aware of the dangers that await him. For the non-Harry Potter fans and those who didn’t see the first film in the series, “Fantastic Beasts and Where to Find Them” (2016), the film would have most likely been confusing. Additionally, unlike the Potter series, this movie leaves the viewer a bit in the dark as to which is the human world and which is the “muggle” world, making the distinction confusing at times. “Crimes of Grindelwald” was visually stunning from the moment the movie began. The continuation from the first movie flowed very well, with all the essential characters intact. There was an especially smooth transition with the Credence Barebone (Ezra Miller) character. Additionally, Redmayne and his side kick, Jacob Kowalski (Dan Fogler) had great comedic rapport and superb interactions throughout the film. For Hogwarts and fantasy flick lovers alike, I highly recommend this second of Rowling’s “Fantastic Beasts” series and I personally look forward to the next film.